I have shared this statistic before, but in America someone is diagnosed with Alzheimer’s disease every 67 seconds. And Alzheimer’s is just one of the approximately one hundred types of dementia. Scientists do not have a cure for any of the dementias yet, and even the medications that are indicated for Alzheimer’s are only modestly effective in slowing the progression of this condition. But scientists are getting more and more data every year on the conditions or genetics that help to predict a person’s likelihood of manifesting some form of dementia. 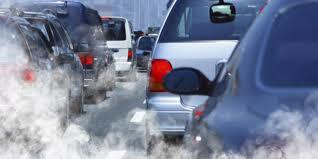 From physicians in London we learned recently that air pollution and dementia are linked. Among older residents across areas of London, these scientists found that those who lived in parts of the sprawling metropolis whose air was more polluted residents were more likely to be diagnosed with dementia. This adds to what researchers have been finding for years about polluted air contributing to cardiovascular disease, pulmonary disorders and even some kinds of cancer. It’s traffic pollution, manufacturer exhaust and other airborne byproducts of urban living. The researchers admit that preexisting levels of air pollution and subsequent diagnoses of dementia are not sufficient grounds for establishing causation of the latter by the former. They are one more reason, however, to underscore the need to minimize humans’ exposure to air pollution. The researchers calibrated the association between air pollution and dementia diagnoses by tracking individuals and their postal codes. Nitrogen dioxide and ozone levels in these post codes, in turn, were measured starting back in 2004. Patients’ health data confirmed the dementia diagnoses from records forward to 2013, and the statistical association was confirmed. They tracked both Alzheimer’s and vascular dementias (the Alzheimer’s was more common). The relationship between Alzheimer’s and pollution was more consistent that with vascular dementia, but both were statistically significant.